When Brian K Vaughan, creator of Y: The Last Man and Saga series, was approached by Marvel Comics to write a comic book to bring in new readers, he hit on the idea of Runaways, the story of a diverse group of teenage friends whose bond grows stronger when they make a gruesome discovery. Launched in 2003, the comic book soon became a fan favorite. 14 years after its debut, streaming service Hulu has now turned it into a popular television series. So, if you are looking for a new Marvel show to binge on over the weekend, here’s all you need to know about Runaways. The story follows six teens who discover their parents are not only sacrificing people to a mysterious cult but are also key members of The Pride, an organization that runs the dark criminal underbelly of Los Angeles. After running away, the teenagers investigate their parents and discover that they have inherited their special powers. Though they can barely get along, they must learn to work together in order to get even with their evil mums and dads. The six main characters are some of the most diverse in the Marvel universe. 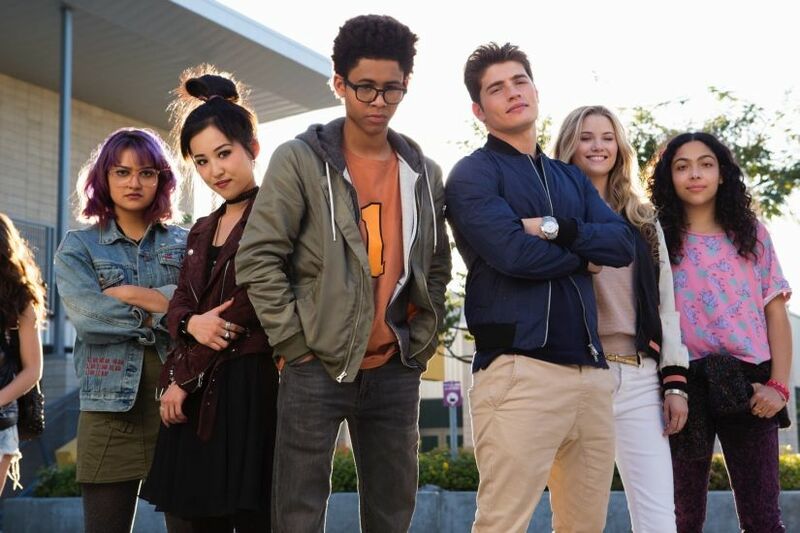 Gert (Ariela Barer) is a bookish feminist with a pet dinosaur; Molly (Allegra Acosta) is a naive but feisty fighter; Nico (Lyrica Okano) is a burgeoning sorceress; Karolina (Virginia Gardner) is a lesbian flying alien, while dumb jock Chase (Gregg Sulkin) and supersmart nerd Alex (Rhenzy Feliz) rely on inventions from their parents. Together they use their gifts to try to bring an end to their parents’ nefarious ways. The first three episodes premiered on 21 November on Hulu.